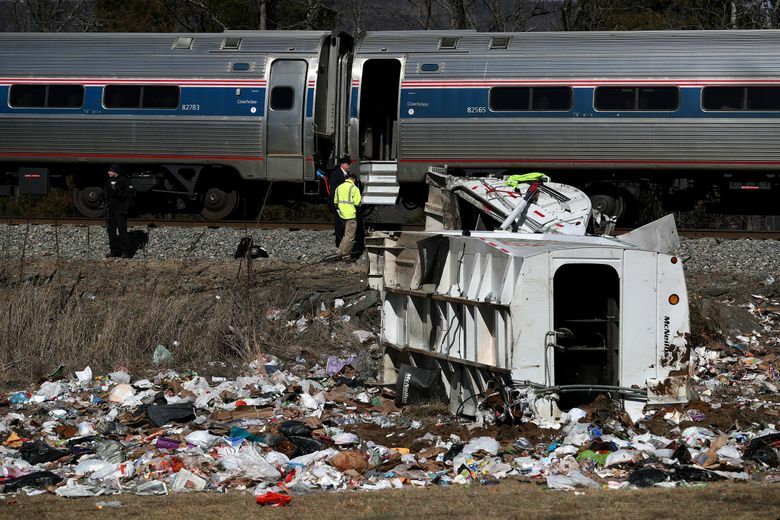 CROZET, Va. (AP) — The lead investigator for the National Transportation Safety Board said it’s too early to say whether the safety arms at a rural Virginia crossing were working when a train carrying GOP members of Congress slammed into a trash truck, killing one truck passenger. 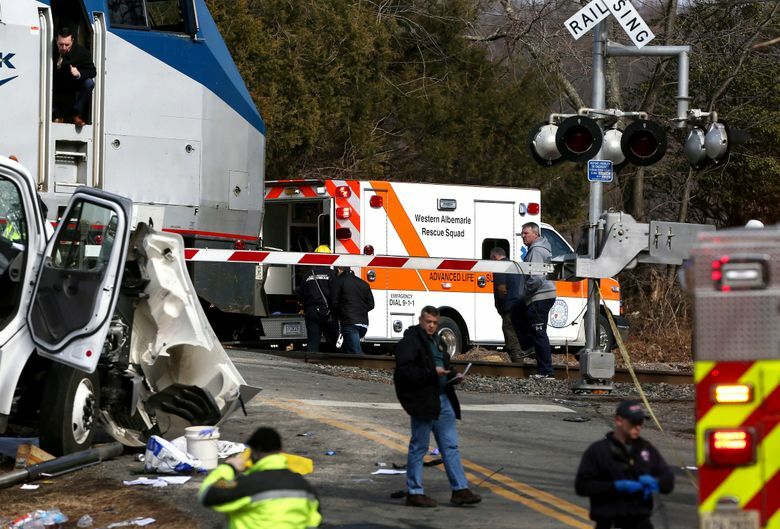 Drivers who regularly cross over the tracks said they had seen the safety equipment appear to be malfunctioning a day before Wednesday’s crash. 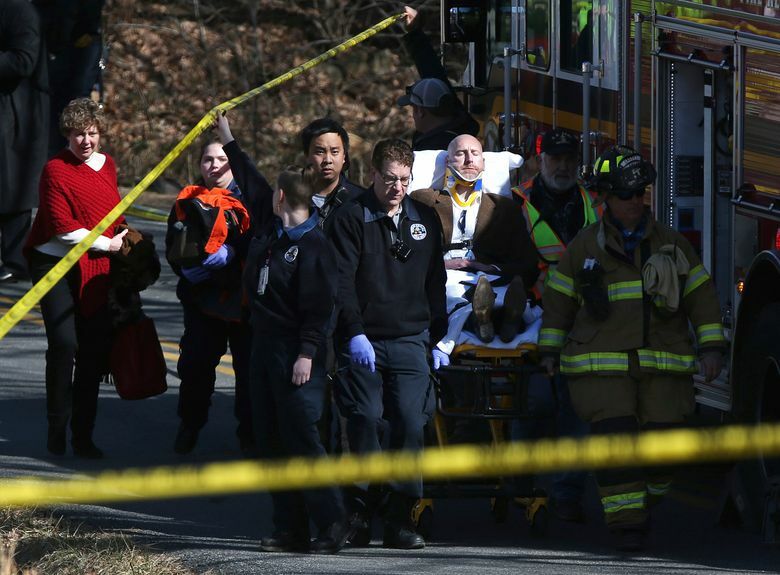 Pete Kotowski, the lead investigator for the NTSB, said investigators would conduct an exhaustive investigation into the accident, which also injured six other people as lawmakers were bound for a luxury resort in West Virginia for days of strategizing. 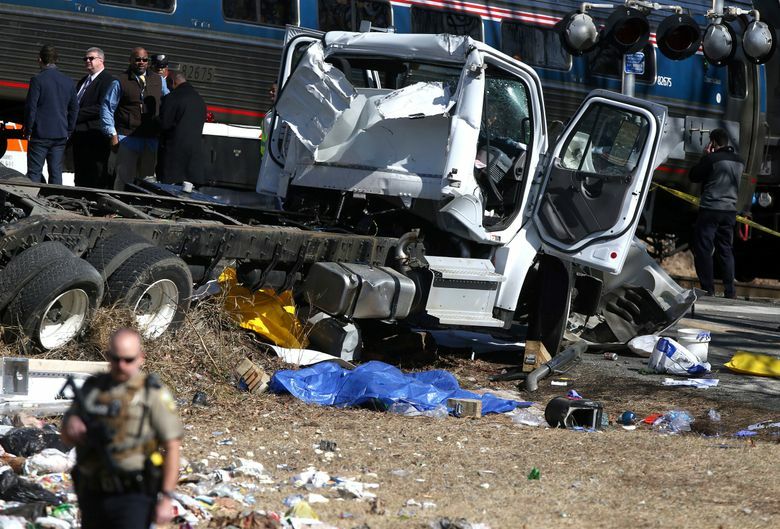 The train was traveling “about 61 mph” (98 kph) only seconds before it slammed into the truck, Kotowski said. The speed limit at that crossing is 60 mph (97 kph), Kotowski said at a news conference Thursday. 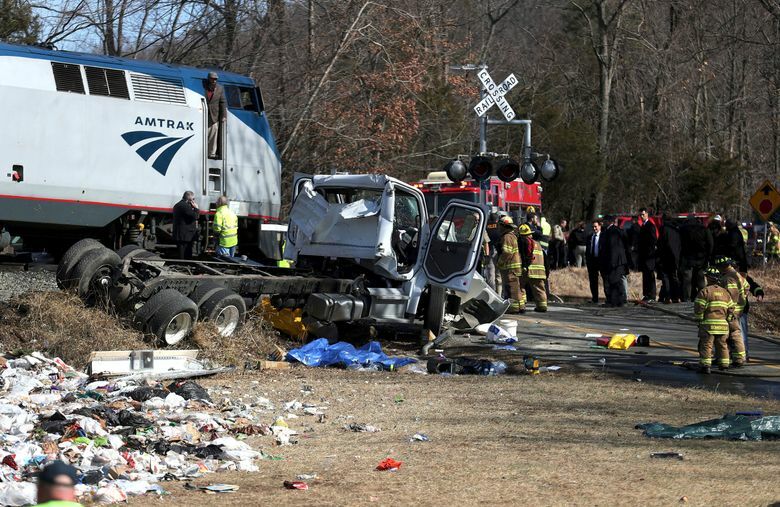 Investigators have spoken with four eyewitnesses, interviewed one of the crew members from the train and scheduled an interview with the engineer, Kotowski said. They are “in the process” of trying to interview the driver of the truck, he said. 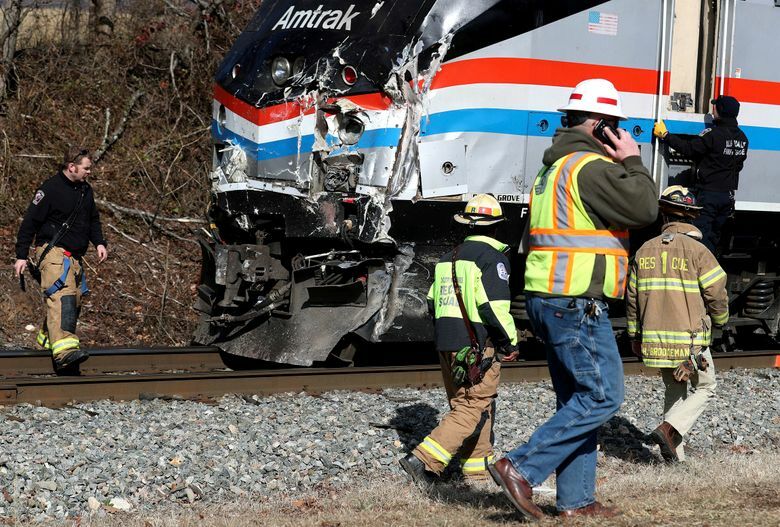 Gene Locke, who lives near the tracks in Crozet, said he pulled up to the crossing between 8:30 a.m. and 9:30 a.m. Tuesday and saw that the safety arms were down and the signal light was flashing, but no train was approaching from either direction. After waiting a minute or so, he backed up, turned around and took a different route, assuming there was either a malfunction of the signal crossing or workers were testing it. “I did not report this, as it was the first time this has happened in my observation since I have been using that crossing for several years,” Locke told The Associated Press on Thursday. Jane Rogers, who lives about 2 miles (3 kilometers) from the crash site, said that when she arrived at the crossing Tuesday, the gate was down, even though there were no trains approaching. She said after waiting, one car in front of her and two cars behind her turned around. Then, as she started to turn around, the gate went up. One car then crossed the tracks, but Rogers said she waited another 30 seconds and the gate went down again. No trains passed, she said. The trash company, Time Disposal, has been in business for 33 years and has 17 drivers and 15 trucks, Kotowski said. “The company has been subject to six roadside safety inspections with two of them resulting in vehicles being placed out of service,” Kotowski said. He also said the company had two reported crashes — one in 2015 and one in 2016 — but gave no further details on those accidents. Wednesday’s collision happened at an intersection that crosses the tracks at the top of a hill where visibility is limited. Carrie Brown, human resources manager at Buckingham Branch Railroad, which leases the stretch of track and is responsible for maintenance, said Wednesday that she was unaware of any problems with equipment at the crossing. She declined further comment Thursday and referred all questions to the NTSB. No safety inspection records for the crossing were immediately available. The State Corporation Commission, which inspects railroad facilities including track and equipment, does not maintain inspection records but turns them over to the Federal Railroad Administration, SCC spokesman Andy Farmer said. A spokesman for the Railroad Administration said details on inspections would require a public records request. The lawmakers were on their way to the retreat at The Greenbrier resort when the collision occurred around 11:20 a.m., about 125 miles (200 kilometers) southwest of Washington. Kotowski said Thursday that hundreds of people were on board. Time Disposal identified its employee who was killed as Christopher Foley, 28, and said he was the father of a 1-year-old boy. Six other people were injured. One remained in critical condition Friday and one was in good condition, according to the University of Virginia Medical Center. Four people had been released. 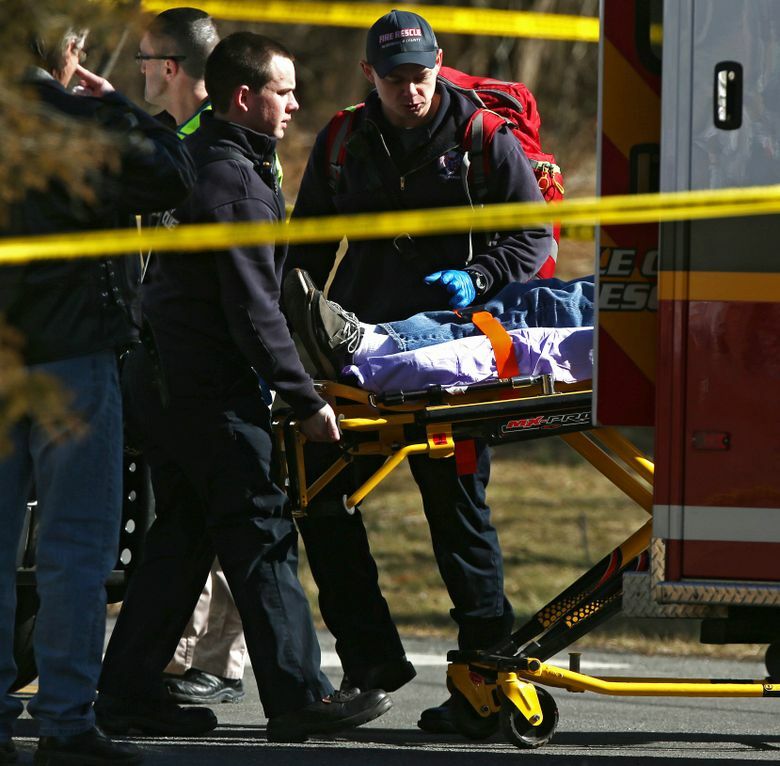 Associated Press writers Denise Lavoie and Sarah Rankin in Richmond, Virginia, contributed to this report.